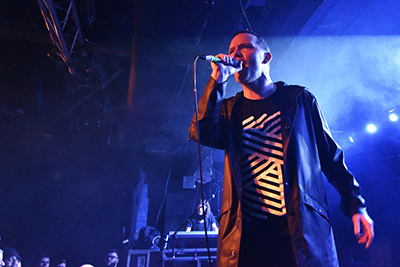 Sheffield has always had a love affair with The Slow Readers Club and vice versa and so it is that the SRC juggernaut roles into The Steel City for the 13th night of their mammoth 48 date UK & mainland Europe tour. The fact they’ve sold out the Leadmill main room is testament to this love affair. As singer Aaron Starkie alludes to on stage it is their biggest gig outside their home city of Manchester.